Plop. Plop. Plop. We have a few oak trees in our back yard and the acorns were falling. 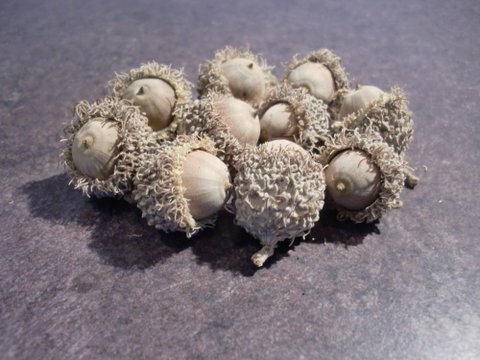 The acorns are so hard that when they fall from the oak tree they make loud pops when they hit our wooden deck. The squirrels have accelerated their acorn gathering into hyper gear with the bountiful carpet of acorns covering our deck and lawn. How does this tough small object become an oak and what does it have to teach up about engagement? Potential. Inside each acorn is a seed. Once it becomes embedded in the soil a long taproot emerges and begins taking water and nutrients from the soil. Then a stem rises from the ground and branches and leaves begin to form. It is amazing to see the size of an oak tree that started as an acorn. Do you see the oak in the acorn? Can you see the seeds of employee engagement embedded within tough situations or tough people? There is the potential of growth and engagement even in the toughest of situations. Growth, development, and engagement do not occur overnight. We need to see beyond the present to what our employees and organization can grow into. David has moved from acorn to oak and is celebrating his 58 birthday today (September 24). When he in not avoiding falling acorns David can be found working on employee engagement with clients, during speeches and workshops, and hosting the 5200 member Employee Engagement Network. David is applying the Pyramid of Employee Engagement to work with clients to increase organizational and individual engagement. Click here for the 50 page booklet on this eclectic and evidenced based approach to engagement.